Homebuilders and renovators are increasingly tempted to turn the layout of their homes upside down to take in the views they reside beside. Rugged coastlines, peaceful countryside or captivating cityscapes offer spectacular scenery that upside down houses can take full advantage of. Often coupled with an open plan layout and large glass panels installed along the length of the house, this unconventional design allows you to make stunning views a leading feature in your home. 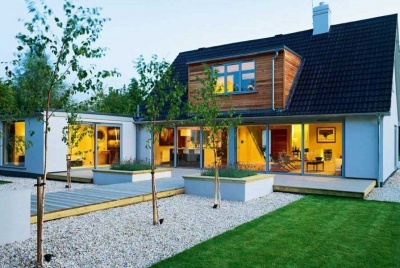 An upside down house could also be the best way to make the most of an awkward sloping site. 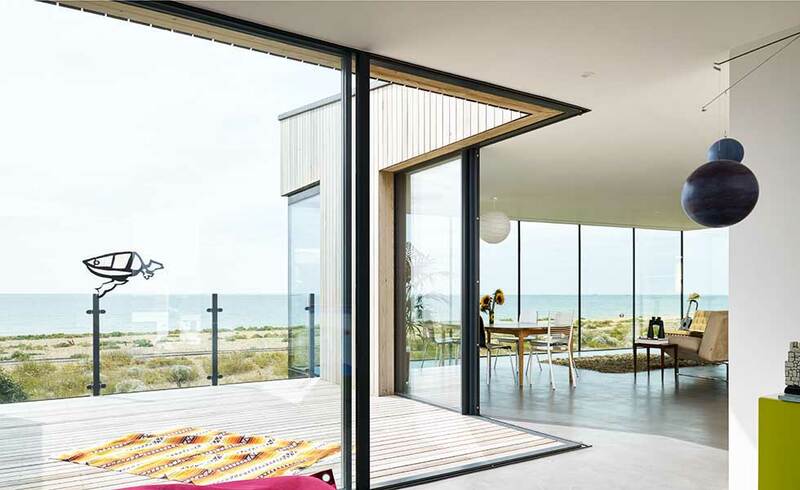 The homeowners replaced a dated coastal bungalow with a contemporary self-build, designed to make the most of the wonderful sea views. A large first floor living area was a priority for the young family. The new home blends in with the beach landscape thanks to the timber cladding and stone gabion walls below. 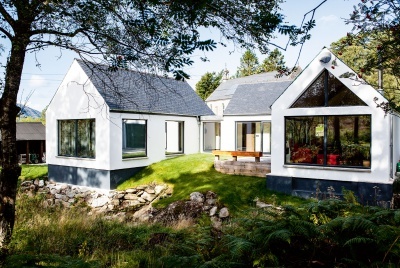 This eco-friendly self build, designed by Adam Clark of Halliday Clark Architects, adopts an upside down style. Complete with a terrace and open plan kitchen-living room on the first floor, the potential of this narrow plot space is maximised. There is also a roof garden on the top of the home to provide even better views of their surroundings. The need for space drove John Pullar to convert a derelict former coastguard tower on the cusp of the North Sea, into a home for his young family. The brief provided had been simple. A light-feeling new build section that contrasted with the heaviness of the stone tower. Plus, the creation of an open plan living space that made the most of the tower’s position overlooking the sea. 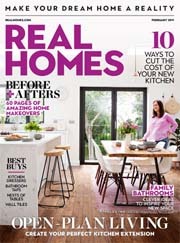 Inspired by the eclectic mix of homes surrounding their plot, homeowners Jayne and Tim sought to turn a 1960s bungalow into something spectacular. Whilst the hillside positioning of this home did pose some challenges, the spectacular views it offers, particularly from its open plan living space, were worth the effort. 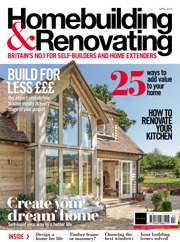 This previously unremarkable six-bedroom chalet bungalow was transformed into a spectacular upside down eco house. Now an upside down house the design makes the most of estuary views from the first floor living area. Situated at the base of a 20-metre-high cliff and perched directly on the water’s edge, the setting for this breathtakingly contemporary property is both magnificent and daunting. 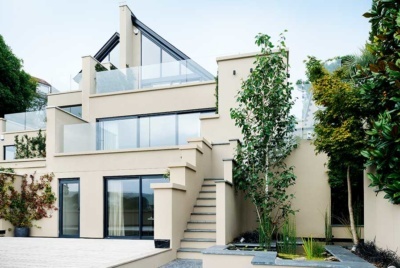 The homeowner worked with a team of experts to develop his clients’ wish list into an ambitious two storey 600m² design, incorporating glass walls, floors and folding sliding doors in order to maximise the glorious estuary views beyond. The house has been designed as an upside down house with bedrooms downstairs and a living-dining-kitchen space upstairs. 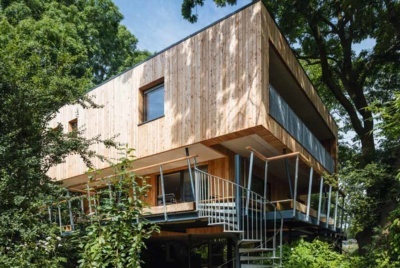 Situated in a Glasgow suburb, this contemporary self-build seeks to maximise its challenging positioning on a sloping site. The house was designed with a semi basement space, ground floor bedrooms and an open plan living space on the second storey, offering views of both the city and the countryside. After purchasing this cottage, in a sleepy Devonshire village, Bob and wife Edith decided to pull the old structure down and rebuild. Despite opting for an non-traditional layout, the ground floor is complete with three en suite bedrooms — the rest of the house was designed to complement neighbouring properties. Built in 1916 this pre-war bungalow boasted enviable loft spaces, making it a prime candidate for conversion. This potential, coupled with the desire of owners Zoran and Sandra to experiment with contemporary design, led to their purchasing and subsequently remodelling this dilapidated bungalow into a state of the art, modern home, complete with an upside-down floor plan. Malloy and Steve had longstanding visions for this previously dated, crumbling roadside cafe. Despite not initially being in a position to purchase the property, the couple didn’t give up on their dream of transforming the space. 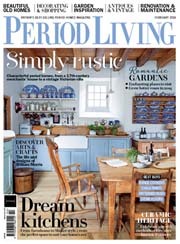 Five years later the home has been converted into a light, contemporary holiday let, complete with upside-down floor plan. Having secured a dated 1930s bungalow in a cliff top location, the journey to create a modern, industrial style two-storey home began. The minimalist style of the frameless glass rooflight, coupled with the glass panels that line the house front enable the maximum amount of light to enter this contemporary home, whilst offering spectacular views of the rugged coastline.